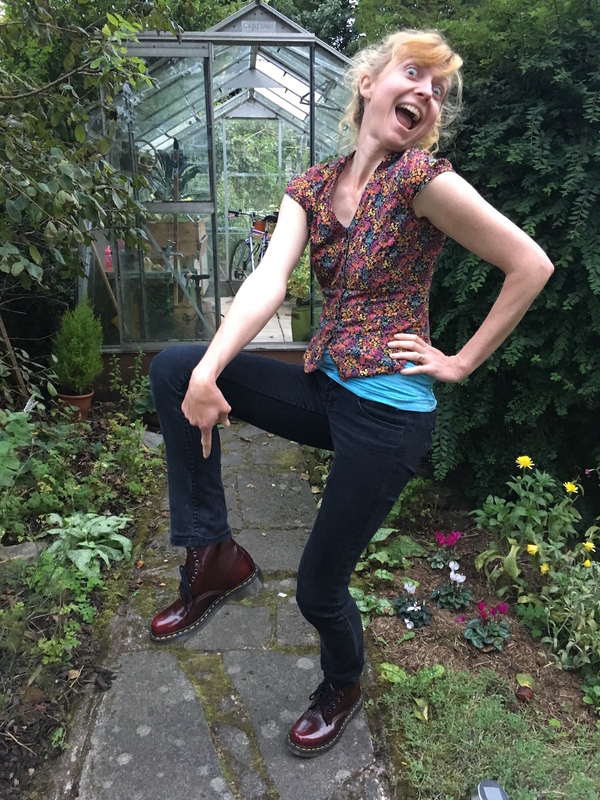 It’s my birthday on Friday and so I decided to buy myself a surprise birthday present: a pair of vegan Dr. Martens. I’ve never owned a pair of Dr. Martens before but used to lust after them as a 19-year-old. Now that I’m no longer a broke university student and can afford to buy a pair I did exactly that! I got the vegan 1460 Cambridge Brush. They arrived today and they’re beautiful boots but really tight across the top of my foot. Is that normal? Will it cut off the blood supply to my toes causing them to go gangrenous? Possibly, but it’s more important to look good than to be comfortable. 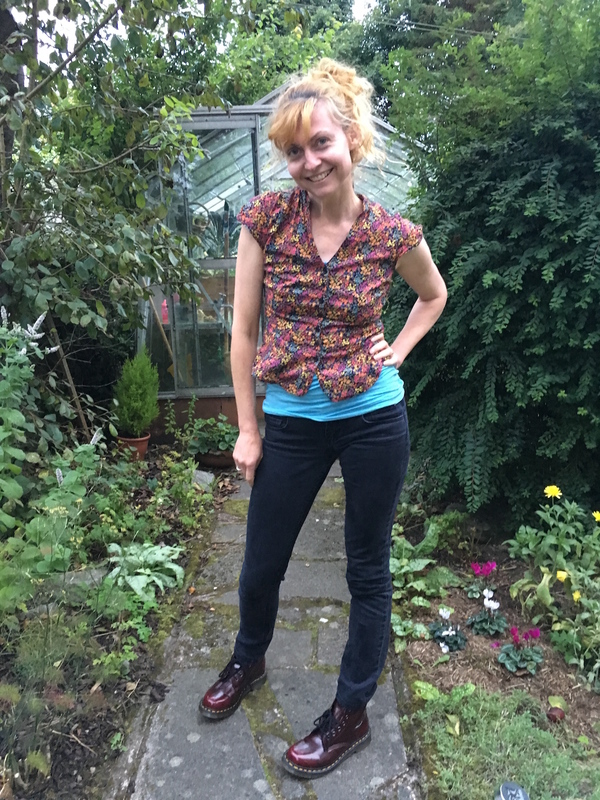 Posted in Journal and tagged birthday, boots, docs, Dr. Martens, feet, shoes, Vegan. Bookmark the permalink. You’ll have to let me know if they get more comfy. I used to have a leather pair back in college, but since becoming vegan, I no longer buy leather shoes. Been day dreaming about that exact pair of boots! I will definitely let you know how they go. They look so nice and will go with everything. Hopefully I won’t have to cut my toes off. Those look fabulous! In college I had a pair of knock-off knee-high Dr. Martens made by Vegetarian Shoes. I loved them (and still own them, but they’re not so practical for the longer walks I do these days). Thanks! Are yours comfortable? Did you have to “break” them in? They are super comfortable now but there was a breaking-in period at first. It’s so tough to find great looking, well-fitting vegan shoes that don’t break the bank! I am always on the hunt. I find their Primal 2 shoes incredibly comfortable and amazingly hard-wearing (I have three pairs, haven’t managed to wear out a single pair yet). I also have a pair of the boulder boots (the black, full canvas ones) which I also love. Not all their shoes are vegan, but they clearly mark which ones are. They look very nice! Thanks for sharing. Very cool, and Happy Birthday! Happy Birthday!!! Love the boots. I hope they’ll be comfortable. Fingers crossed they’ll stretch a bit in the right places! I’m very jealous. I was told I was too old to be wearing Doc Martens, so I gave in. For now. I remember fondly my bright red patent leather ones (non vegan, sorry). Good luck breaking them in. Enjoy. 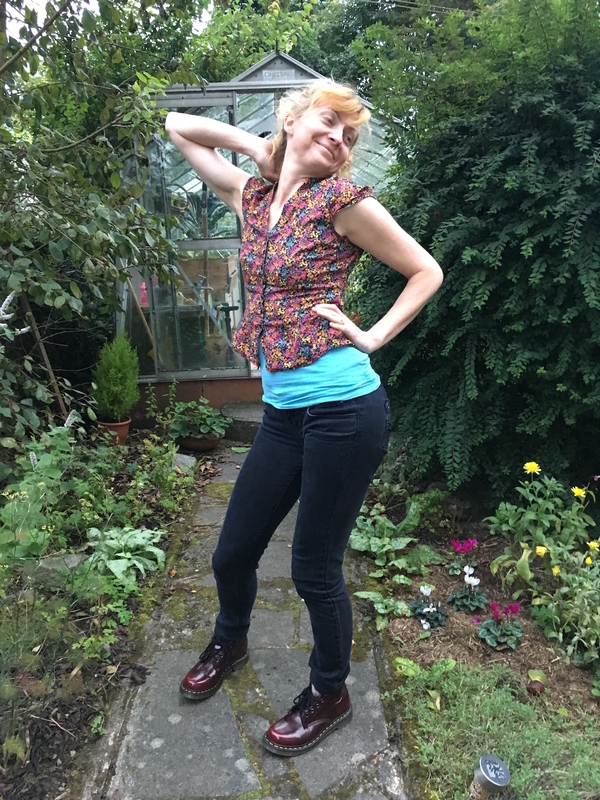 You are never too old to wear Dr. Martens! Don’t listen to them. I LOVE Dr. Martens! These look amazing, and you look amazing too! I ended up returning those boots because they were too uncomfortable. 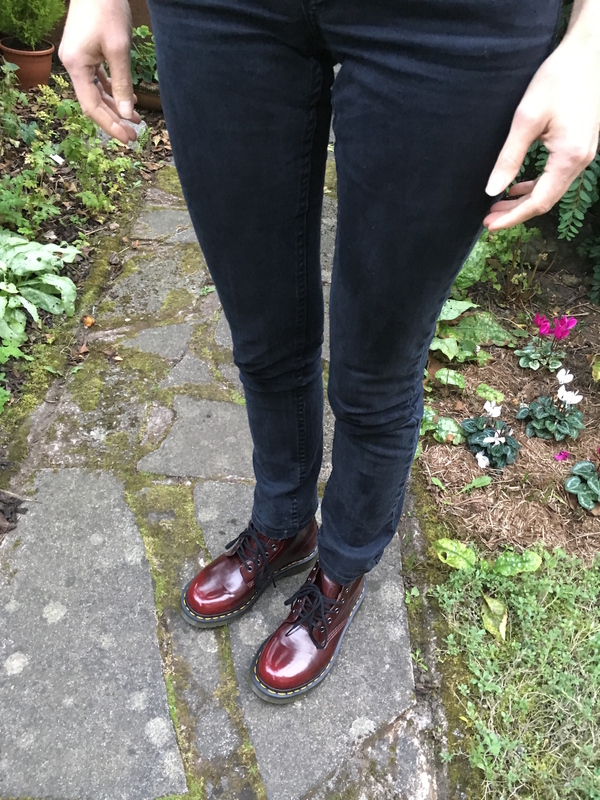 I bought these instead – https://rachelsquirrel.com/2016/09/19/vegetarian-boots-in-purple/ – and they’re a much better fit and comfortable right from the start. These look really good. Im totally looking forward to picking up a pair of the vegan low cut shoes. Im really exited. hopefully they will be a bit more comfortable when they first arrive haha.